Retro Chrome Table and 3 Chairs. 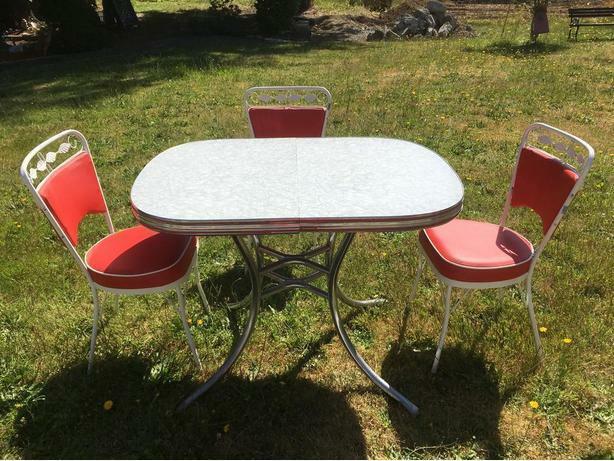 Retro style Oval Table and 3 Chairs. Table is 40" X 30" inches and 30" inches high. Chair seats: floor to top of seat 18" Seats are newly recovered.